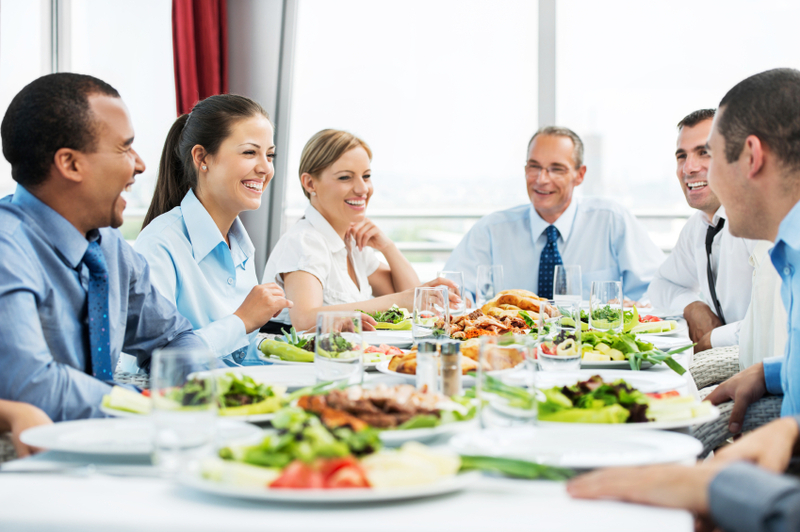 Why to Share Lunch With Coworkers? 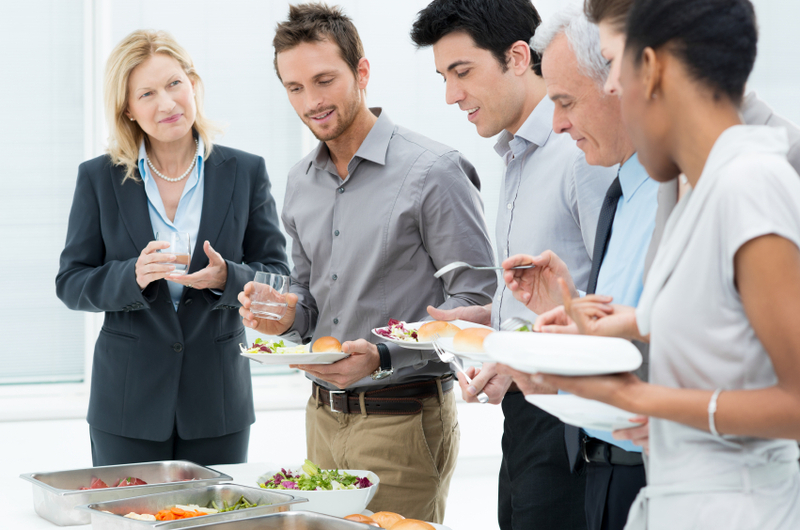 Share lunch with coworkers and boost your productivity. Yes, this may sound bit of an exaggeration; however, this post can give you plenty of reasons that make this concept a perfect sense. Skipping lunch and doubling work is a common scenario in today’s corporate environment. Grabbing a burger for lunch while you are still at your desk, rushing to complete the day’s work, seems to save a lot of your time. However, going for lunch with coworkers can earn you some long term perks. And thus, you do need to have some time away from work and spend the same with colleagues. This ensures that the perks keep coming your way easily! If only you knew that having lunch with colleagues can create such an impact on your career advancement, lunch would have been an important segment on your daily schedule. It’s never too late. If you have not learned it before, you can do it here. A lunch with your coworker can make you feel a little relaxed; apart from the nutrition value that is already existing. After having worked for half the day, our brain seizes to come out with new innovative ideas. Therefore, a short break from the task in hand is vital to get back with greater zeal and focus. Talking to coworkers about things other than work, tends to refresh your mind upto a great extent. However, care needs to be taken that lunch breaks don’t turn out to be gossip sessions. Only when you have healthy discussions with your coworkers, these lunch breaks will have a positive impact on you. Now, you are perhaps aware that professional network is essential to grow career. Lunch hours are a suitable time to build these connections. Especially, when you are new in the workplace, making optimum use of these lunch breaks to get acquainted with the place and its people is something that you need to do. And it would not be wrong to say that this is something that is expected of you as a new joiner. Professional success comes to those who can have pleasant relations with coworkers and bosses; apart from relevant skills. All successful people make optimum use of their lunch breaks. And here it does not suggest that they keep working the whole day. Rather, they use lunch breaks to mend sore relations with colleagues. Discussing complex professional issues in a more casual tone can be best accomplished over a lunch. So, if you are having a tiff with your coworker and don’t know what to do; use some consecutive lunch breaks to resolve issues. Trust, faith and reliability are vital for a healthy professional life. To be assigned with significant job responsibilities or to get promoted to higher levels, winning the trust of your coworkers and bosses is vital. And this again is not built in a day. Lunch break conversations highlight your personality, your choices and principles. This can help you to have one or two strong connections within your workplace. Sharing ideas or areas of interests with right people can open new doors. So, never skip lunch opportunities with coworkers if you want something more challenging on the job front. Ultimately, the place where you spend most of your waking hours needs to be pleasant to be in. Some friends, a few jokes to share, some discussions regarding bosses are essential to keep liking the place where we work. Lunch hours are the best time to nurture such happy moments within office. Establishing some kind of friendship with coworkers can make you feel a little happier and wanted in your office. It can give you a simple but substantially important reason to continue with the work even when things tend to get a little monotonous. Now, every one of us is completely aware of how professional relationships are important to grow careers. However, our work load pressure, targets and deadlines somehow compel us to overlook these peripheral yet essential aspects. It needs to be understood that success has many different factors and harmonious relations and good will amongst the people you work with is an essential requisite for accelerating careers. Long term results are always better than short term achievements. 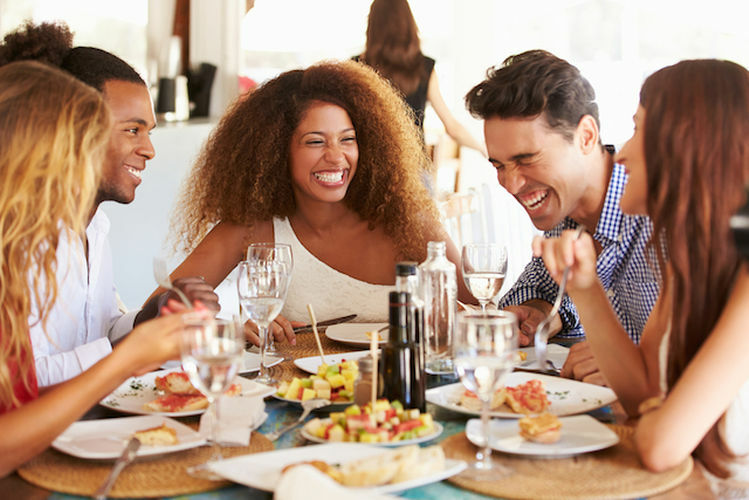 Ignoring lunch hours or other scopes of mingling with your colleagues can save you some time to reach somewhere near to your daily work targets. However, in the long run you end up in a situation where you have no professional acquaintances who can guide you through future career paths. Above mentioned are few advantages of sharing lunch with coworkers. There can be plenty of other benefits as well. And once you start practicing it, you can explore the wonders it can create.